TEL AVIV/BERLIN -- Germany's Continental is in advanced talks to buy Israel's Argus Cyber Security, whose technology guards connected cars from hacking, for about $514 million (US$400 million), Israeli media reported on Monday. Continental AG, the world's second-biggest supplier to automakers by sales, makes telematics control devices used to transfer data and enable communication between a vehicle and remote management tools such as web panels and mobile apps. Carmakers say that any vulnerabilities in this area do not directly affect the critical safety features of a vehicle. Founded in 2013, Argus has raised $38 million (US$30 million), including $33 million (US$26 million) two years ago from Magna International, Allianz , SBI Group and Israeli venture capital funds Magma and Vertex. "This is not the first time such rumors have circulated and Argus does not comment on rum ours or speculation," a spokeswoman for Argus said on Monday. Officials at Continental declined to comment on what they called "speculation." Argus already collaborates with Continental. This month it jointly launched a technology for delivering over-the-air vehicle software updates with Continental subsidiary Elektrobit. Earlier this year Intel Corp bought autonomous vehicle firm Mobileye -- one of Israel's biggest tech companies -- for $19.6 billion (US$15.3 billion). With more than 200 startups, Israel is a growing center for automotive technology. Argus CEO Ofer Ben-Noon told Reuters in March the Mobileye deal could accelerate his company's growth. "There is no doubt there will be more investments in Israel for automotive, and a lot more M&A," he said at the time. 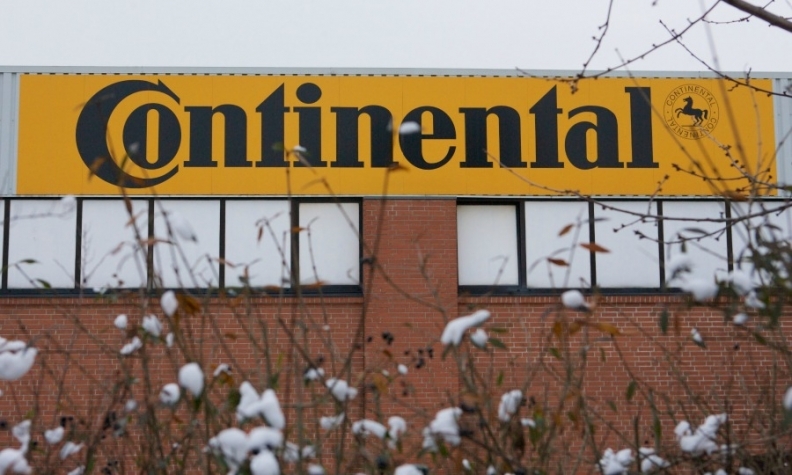 Continental said in June it was joining a self-driving platform developed by BMW, Intel and Mobileye with the German auto parts and tire maker handling integration of components and software. The costs of integrating hardware, software and data and the accelerating pace of development of self-driving vehicles has sparked a growing number of alliances between automakers and suppliers. Continental said it would play a role in commercializing the new platform, which is to be sold to other auto manufacturers. Traditionally, many of Israel's tech startups have sold out at an early stage to global companies, keen to tap into the skills of workers trained in the military and intelligence sectors. This was the case with Waze, the Israeli map app, which Google bought in 2013 for $1.47 billion (US$1.15 billion). Only a few -- such as cybersecurity leader Check Point Software and software provider Amdocs -- have stayed independent long enough to reach a significant size.